It is easy to show that science is not compatible with naïve versions of either theism or atheism. A naïve theism, for example, uses the word ‘God’ to refer to a candidate explanatory hypothesis, like a component in our explanatory picture, and thus fails to engage with the real issues of thoughtful religious commitment (interestingly, this is exactly how naïve atheism uses the word ‘God’). A naïve atheism is one that can get on with science and enjoy its fruitfulness but relies on others to provide the grand narrative of why science is trustworthy and what its purpose might be. On the other hand, science is at home with a well-thought-through position of either theist or atheist persuasion. It is quite wrong to say that science per se asserts a preference for one over the other. I could argue this at length but it would distract from my present purpose. My present purpose is to illustrate certain irresponsible tactics, and point out that progress will involve the abandoning of those tactics. Atheism, like theism, comes both in a responsible form and in various irresponsible forms. A reasonable and responsible atheism can command respect and I would not go out of my way to attack it, though I would question its correctness by means of thoughtful debate. However, I am directly opposed to the attempt by many to “grab” science as if atheism were its true home. Such an attempt is both illogical and unjust. The truth is that science is religiously neutral and ought to be regarded as the common property of all who respect its methods. This issue is relevant to the continuing reluctance of parts of religious communities to accept the standard scientific account of the development of life on Earth. That account involves the combination of genetic inheritance, variation without complete control, exponential growth in the context of limited resources, and consequently natural selection, and the very long timescales involved. Why are people still so shy, even fearful, of accepting the deep coherence of this account, and the abundant evidence that this is what happened? There are various reasons for this reluctance, but an important one of them is that the story has been misrepresented. So we come to the first of my analogies: minerals. For this analogy I have in mind the role of minerals in nutrition. Humans need trace amounts of various minerals in order to stay healthy—things like sodium, potassium, magnesium, calcium, iron, zinc, manganese, copper, iodine, chromium, molybdenum and selenium. However, some of these are highly toxic. If you eat them on their own, or if your body absorbs them in anything but microscopic amounts, they are poisonous. Now suppose someone wanted to recommend carrot cake as a healthy food. Perhaps they have discovered a village with a bland diet and the people there have never heard of carrot cake. 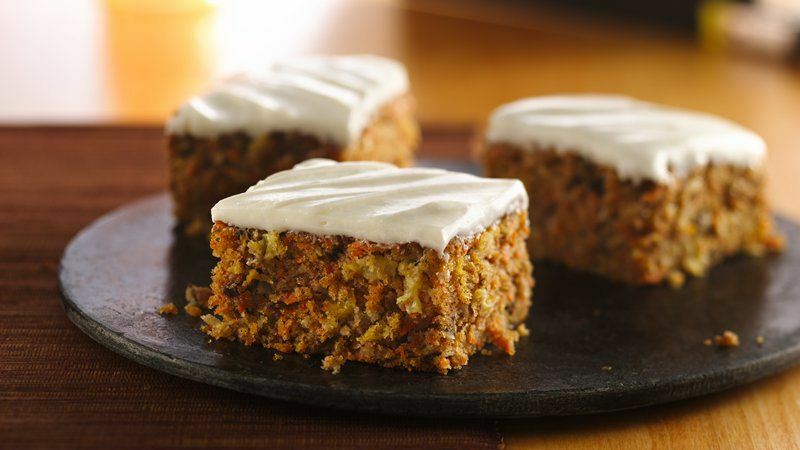 They can grow the ingredients, and carrot cake could be really good for them. But suppose the would-be nutritionist insists on putting large amounts of sodium in the cake. Then the people will get ill, and they will reject the cake, even though cake with no sodium, or with only trace amounts, is perfectly healthy. This is an analogy for the attempt to recommend Darwinian evolution with large amounts of atheism inserted. The atheism in this case cannot be of a kind that deserves respect, because it is being used in such a way as to prevent people from receiving the science. In other words, it is being inserted in such quantities as to prevent people getting access to a healthy scientific education. What one wants is just those trace amounts that are legitimately part of science—the occasional reminder not to leap to miraculous claims when they are not warranted, for example. That form of atheism is part of any healthy scientific education, and part of ordinary theism, of course, because we are not meant to be thoughtless and credulous. This analogy is helpful because it helps to understand the following aspects of modern debates about evolution. First, one side can say (disingenuously), “look at those stupid people over there; they refuse our lovely cake, and everyone knows that carrot cake is good to eat”. Meanwhile the other side can say (confusedly), “carrot cake is poisonous”. The truth of the matter is that carrot cake is not poisonous if it is baked in a balanced way, and Darwinian evolution is not poisonous if it is not misrepresented. Of course, the ‘cake’ in this analogy only nourishes certain aspects of our ability to understand the way the world is, and how it got to be that way; it is not the only nor the most important nourishment. Now for my second analogy: monsters. This is an analogy borrowed from the classic 1956 science fiction film, “Forbidden planet”, directed by F. W. Wilcox. This is an excellent film and I recommend anyone take a chance to see it if they can. However (spoiler alert!) in order to make my analogy I am going to have to spoil the suspense a little by revealing an important plot feature. In the film, an advanced alien civilisation called the Krell has left behind a planet containing a vast machine. It emerges that the machine was built to materialize whatever the Krell imagined. However, when humans use the machine, they don’t at first realize that it will also cause to be materialized the products of their subconscious. The machine creates a monster that represents the subconscious of a conflicted scientist. The monster cannot be killed as long as the scientist and the machine continue to sustain it. The analogy here is that there is a “monster” of creationism, where I mean creationism in its unscientific form, which is an attempt to adopt pseudo-scientific methods to force the story of the universe into a preconceived mould. This monster builds things like the so-called “Creation Museum” of Petersburg, Kentucky. My point is that this particular monster has been created, in part, by the very forces that it seeks to oppose. If we do not make science available in a healthy form, then in their search for explanations people will be forced to go elsewhere. But in order to destroy this particular monster, we will need to admit, as a community, that it has been created by some of the attitudes of the militant atheist side, and it will continue to be re-created unless and until those attitudes are changed. The attitude that I think needs to change is the one that says that mainstream ordinary science belongs primarily to atheism and can legitimately be presented by educators as if this were true.